Fine Gael Ballymun Councillor Noel Rock has today praised the outlined plans for the Balcurris Park retail development, which will see significant investment in the area, and called for an assurance that locals be included in all employment opportunities that arise from it. 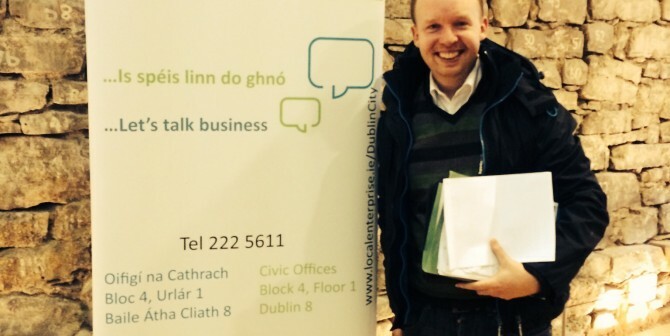 Councillor Rock said: “This is a good deal for Ballymun, and has been a long time coming. It highlights the faith that investors have both in the economy under Fine Gael, and is clearly good news for the community”. Speaking on the matter, Councillor Rock said: “The €1.8m offer on the site is the first large private investment in Ballymun for years, and clearly shows that job creators have great faith in the future of the economy under this party, and I intend to continue pushing for more investment, more jobs and more growth locally. The complex will include one large grocery store, 2 additional retail units, a café and an office. My understanding is that tenants are lined up for this development, and that it isn’t simply speculative like so many other private developments in the past”. Councillor Rock added: “This is a good deal for Ballymun. I will be voting in favour of this site being sold, and I believe that this will bring about much needed shopping facilities for local people, as well as much needed employment locally”. Councillor Rock continued: “I have been speaking to a number of interested parties since I was elected about the development of this site, and I am glad to see that something has happened: Ballymun is a great area, and I’m glad that investors are waking up to that fact and investing in our area in the same way as they’re investing right across the country. This is further proof that real investment is happening every day and real jobs are being created”. “What I would now like to see – and I will be requesting it tomorrow and in future meetings – is an assurance that there will be a genuine attempt to employ local people both during the development of this site and when the retail unit is finished. We need to make sure that local people and the local economy directly benefit from this. The local community are going to benefit from this development, but I want to work to ensure we get the best deal possible for our community”, Councillor Rock concluded.